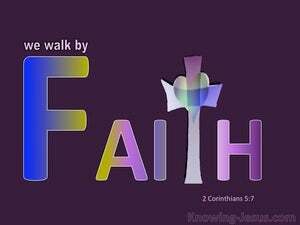 For we walk by faith [we regulate our lives and conduct ourselves by our conviction or belief respecting man's relationship to God and divine things, with trust and holy fervor; thus we walk] not by sight or appearance. for we live by faith, not by what we see. (for I have to guide my steps by faith, not by what is seen)? ?8 yet I am confident, and I prefer to leave my home in the body and make my home with the Lord. 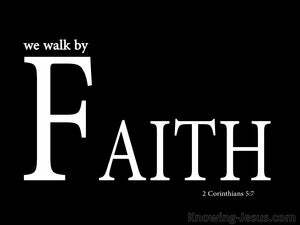 (for we walk by faith, not by sight). 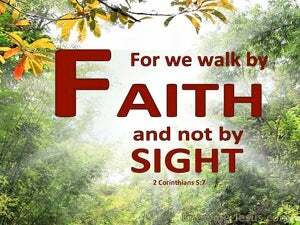 For we walk in faith and see not. 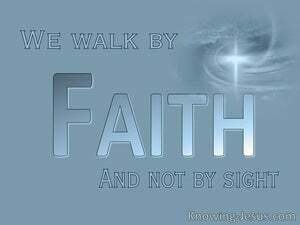 for I am walking by faith, not by sight. For we guide our lives by faith, and not by what we see. 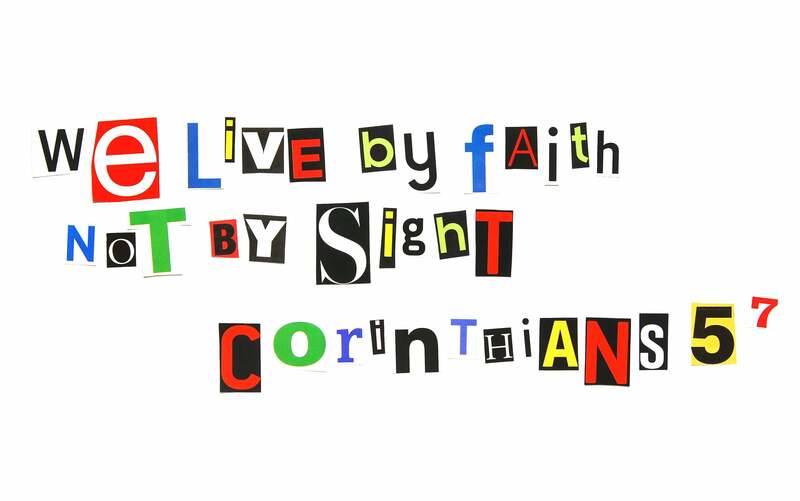 for we are living a life of faith, and not one of sight.